First of all please create new MS Access database & link ItemInventoryAssembly, ItemInventoryAssemblyLine table. MS Access>> create tab >> Query Design >> It should popup for choosing table, please click "close" button & click on "SQL" from left top corner below File menu. Note the FQSaveToCache field, set to True, except on the last one. 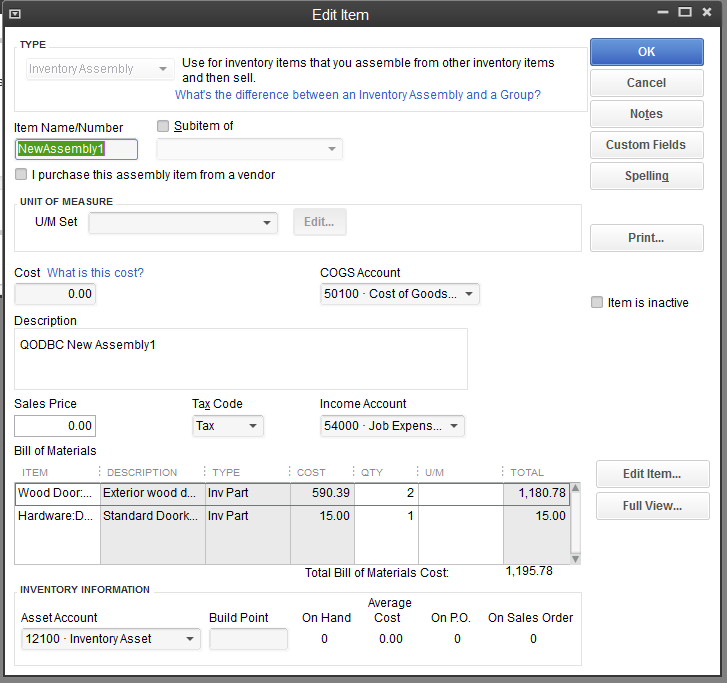 This seems to work for adding multiple items (ItemInventoryAssemblyLine records) to an assembly when the assembly is first created. Can you suggest a query that will work? You have used 'Active' as a value in IsActive field due to this issue happen. IsActive field contains boolean datatype & it accepts 1/0 or true/false as input. Please use below query & try again.